You’ve decided that it’s time to change up your landscaping. Whether you want to remove your lawn, replace dying plants, build a patio, or do an entire landscape renovation, you likely will need some help. That’s where a good landscaper comes in. With their experience and knowledge, they can guide you through the process, create a design, and build your new landscaping. The entire process can be fun and exciting and your new outdoor space can look outstanding if executed properly. On the other hand, if the landscaper you select is sub-par, you can end up sinking a lot of money into a project that makes you want to pull your hair out. To help you make this crucial decision, I’ve made a list of 5 tips for choosing a landscaper in SLO. San Luis Obispo has about a million landscaping companies, and many of them are great. This means that the first thing you need to do is narrow down your options. What you’ll find is that by just calling a few landscapers, you will usually be able to find a landscaper or two that stands out. Some companies won’t answer or call you back, some may be rude or difficult to talk to, and some will be too busy. Some will be friendly, some will seem knowledgeable, and some will answer or return your call promptly. Your list of possibilities will automatically get shorter just from picking up the phone a few times. From these phone conversations, you will get a first impression that will give you a feel for the company. Were they courteous on the phone? If you left a message did they get back to you in a timely manner? Did they sound professional? You can also ask questions that you need to know such as how booked up they are, what type of landscaping do they specialize in, and what does their landscaping process look like. It’s a bit of a no-brainer, but calling around is good place to start and will usually narrow down your options quite a bit. This day and age, we are all lucky enough to quickly and easily be able to read about other people’s experiences with businesses. This can be beneficial when looking for a landscaper, since it can be hard to know what the experience will be like until you are committed. After you’ve narrowed down your list of landscaping companies from calling around, look up the ones that stood out to you. Look on places like Houzz, Facebook, and Google. Most companies these days have at least a few reviews. Usually a simple google search of the company name will show all of the sites where the landscaper has reviews. Look for businesses with mostly good reviews. Read through them and see what other people liked or disliked about the company. This can be an excellent way to discover if they sound like a landscaper you’d like to work with for your project. What about negative reviews? You’ll find that many landscapers also have some negative reviews. This is normal and shouldn’t necessarily be a deal killer. Read through the negative reviews and also be sure to read the landscaper’s response to the review, if they’ve provided one. Often times, the landscaper’s response will provide insight into why the customer’s expectations were not met. The next step is to have an in-person meeting with the landscaper. This can usually be set up through email or over the phone. Some companies will present this as a free service and some will charge a consultation fee. If there is a consultation fee, make sure to ask whether the fee is refundable if you end up hiring them. Just like when you called around, this is another opportunity to get a first impression. Did they arrive to the meeting on time? Were they easy to communicate with? Did they provide you with ideas for your project? Did they seem excited about the project? These are all good indicators of things to come. If they were hard to talk to or seemed unprofessional they probably aren’t going to get any better after you hire them. Asking the right questions will help you to not only find a San Luis Obispo landscaper that is good at what they do, but also to find a landscaper that will be a good match for you and your project. I like this one because it helps you see if they will be a good fit for your project. For example, Wild Bloom specializes in native gardens, outdoor living spaces, retaining walls, hardscapes, and rainwater catchment. We excel at those types of jobs. However, if someone had a job where they wanted to plant roses, palms, and put in a lawn, we would not be a good fit. Of course, no one will be able to give you an exact price until there is a design in place, but many landscapers can give you a pretty good idea of what your project might cost. This estimate is usually rough or is more of a price range, but can at least let you know if they would be able to do the project within your budget. For your protection, it’s always wise to make sure you hire licensed and insured contractors for your home improvement projects, especially landscaping. This not only ensure they have met a minimum standard of knowledge and experience, it also protects you in the event that they cause damage or get injured on your property. The landscaper should be able to give you an idea of what the maintenance needs for the landscapes they build typically are. Note that there really isn’t any such thing as a totally maintenance free landscape. They should, however, be able to build you a landscape that won’t require you to be out working in the yard all weekend. With proper planning and landscaping knowledge, they should have no problem creating a nice outdoor space that that needs minimal maintenance. High Deposits – Contractors can legally only ask for a 10% or $1,000 deposit, whichever is less. If they are asking for more, it might be a sign that they aren’t too concerned with adhering to their legal requirements. Note that it is perfectly acceptable for them to include “progress payments” in the contract. No Referrals – Definitely ask for some referrals, especially if they don’t have any online reviews. Ask for a few numbers of past clients that you can call. If they don’t have any or are unwilling to give you any, it’s probably a bad sign. Long Response Time – Landscape contractors are notorious for poor communication, and it can make your entire project a huge headache. If you’ve sent an email or left a message, they should get back to you in a reasonable amount of time. Remember, at this stage they should be on top of their game because they would presumably like to get your business. If their communication is lacking now, just think how it will be once you’ve already hired them. I know it can be tempting to just look for the cheapest price and go for it, but that will often be more trouble than it’s worth. Remember… Price is what you pay, value is what you get. Landscaping is an investment in yourself, your family, and your home. When looking for a landscaper, choose the company that will give you the most value, instead of just picking the cheapest (or the most expensive). When looking for a San Luis Obispo landscaper, you will have quite a few companies to choose from. Hopefully by using the advice above, you will have an easier time narrowing down your choices and selecting a landscaper that is a good fit for you. Remember to take your time with this process, and trust your gut. 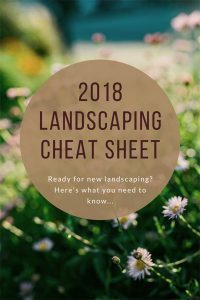 If you’d like to learn more about how to have a successful landscaping project, grab your free copy of our Landscaping Cheat Sheet. 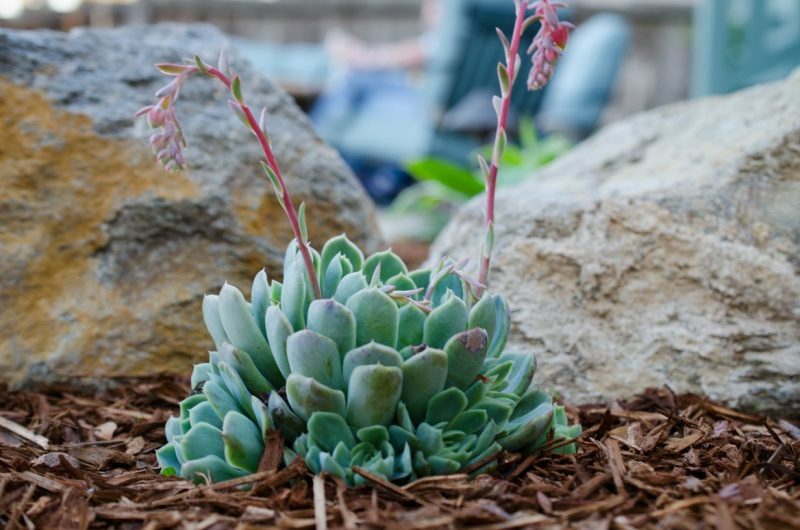 This is a quick primer we made to help people like you get the landscaping you’ve always dreamed of. It includes more tips on hiring the right contractor, plus design ideas, plant suggestions, and landscaping trends. I sincerely hope this information helps you with your new landscaping. If you have any questions or would like to learn about our landscaping services, please feel free to contact us.